I was invited 20 years ago to my one of my best Egyptian friend’s birthday. Her mom, May Allah bless her soul, used to make for her birthday every year the trifle. 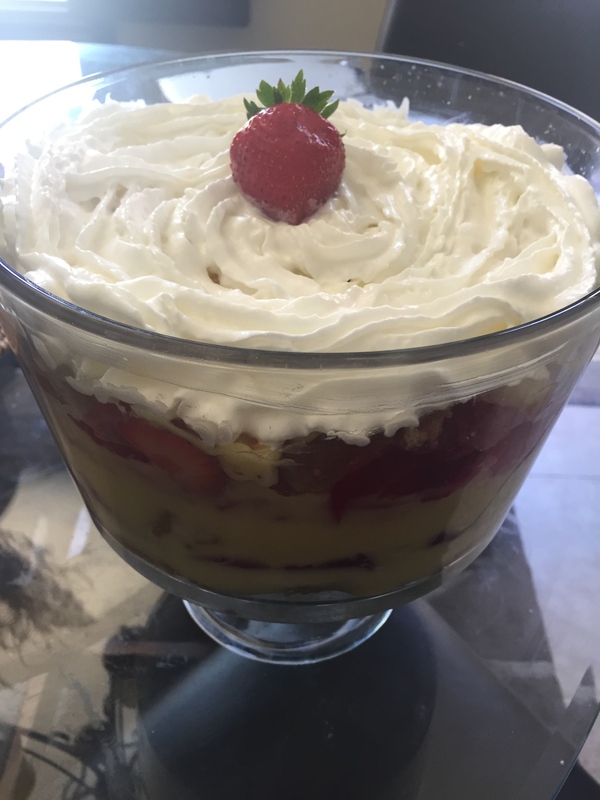 It is originally English and it is layers of sponge fingers or cake, custard, jam and fruits. 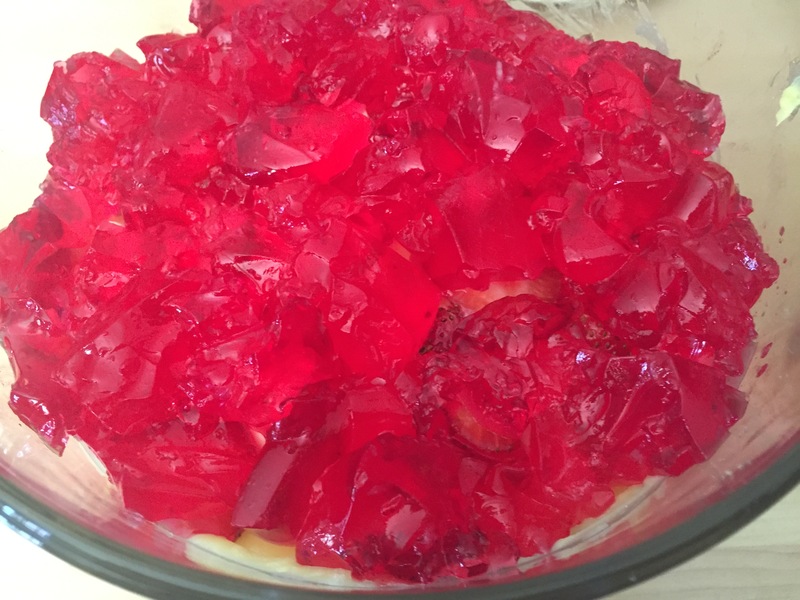 In Egypt, we do not use the Jam, we use instead the Jello. 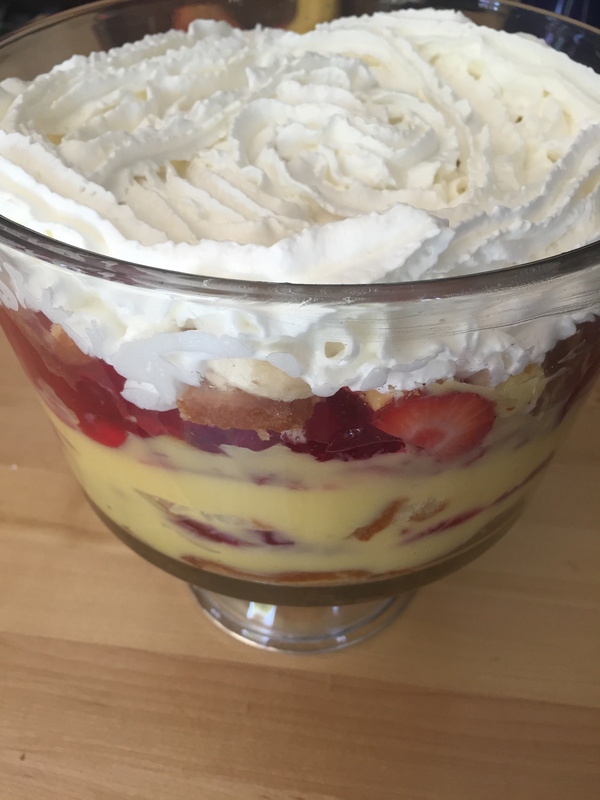 In my opinion, this is the best dessert for big gatherings and parties, since you can get all its ingredients off the shelf and can be super easily prepared. Hope you like it! For the cake, I buy any vanilla cake from the dessert since this is the dessert I usually make when I am always in a rush or lazy. Follow instructions on packet to make the pudding or custard. When done, set it in fridge to cool. Follow the instructions on packet to make the jello. When done set it for couple of hours in the fridge to cool. 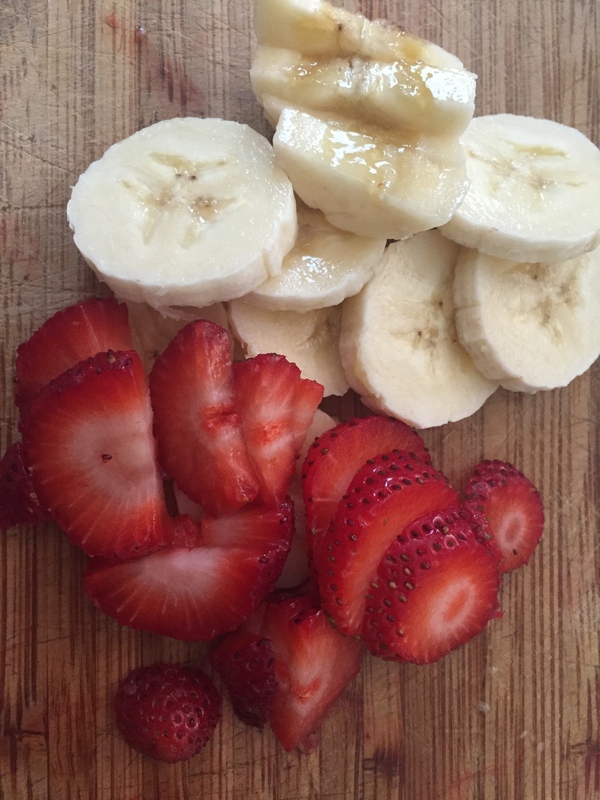 Slice the strawberries and the bananas. In a nice large glass bowl, assemble the layers. Add at the bottom cake layer. Cover with the custard. 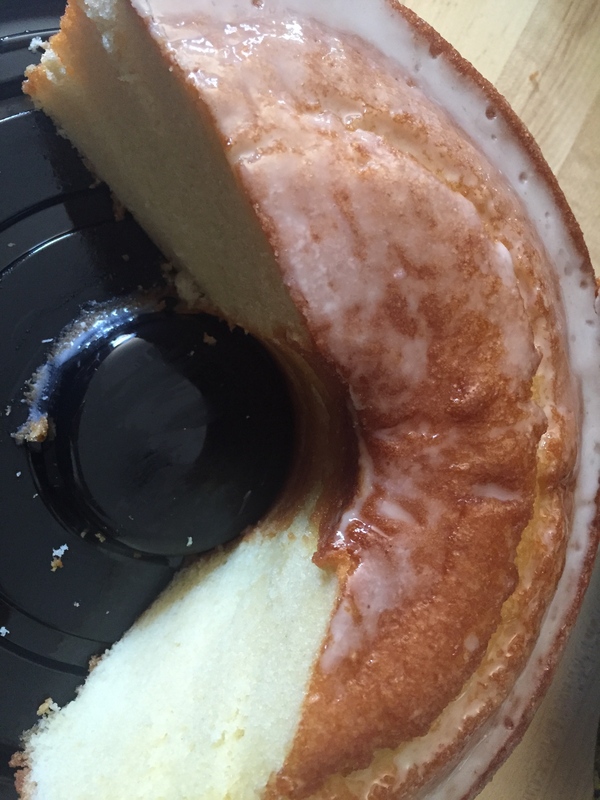 I like the custard to be the layer right on the top of the cake to make it moist. 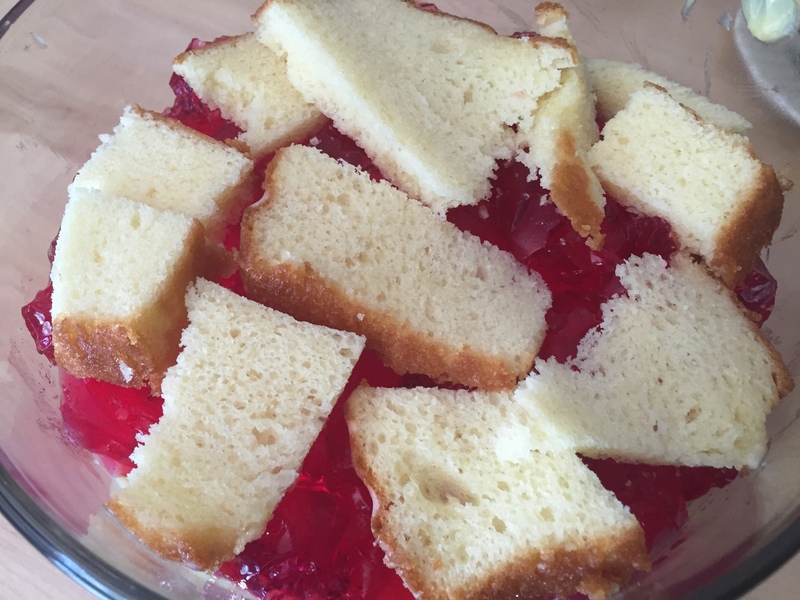 Add the Jello on the top. 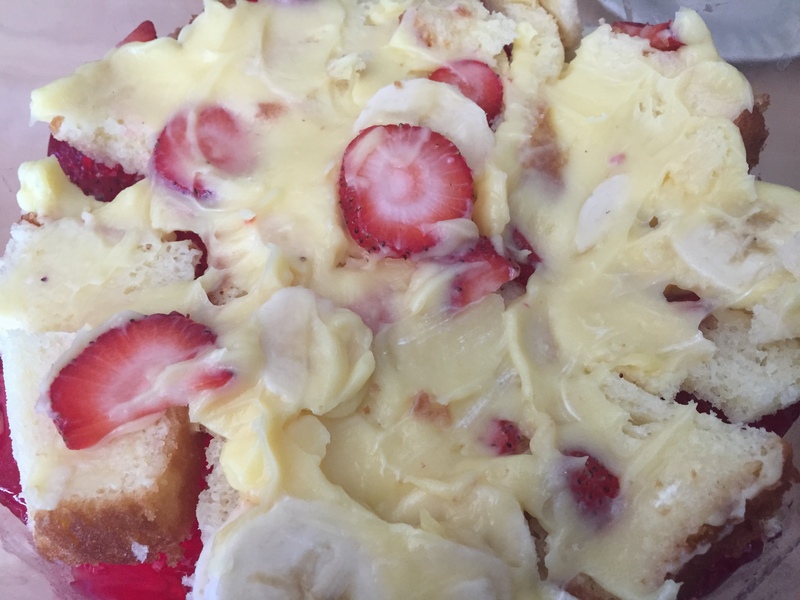 Cover with whipping cream and garnish with strawberries.